London, 1920. As England recovers from The Great War, thirty-year-old Beatrice and her eighteen-year-old sister Evangeline are left penniless after the death of their father. Struggling to rebuild their shattered lives, Bea finds work with glamorous society photographer Jack Maddox while Evie's skills as a seamstress are put to good use by dressmaker Mrs Partini. 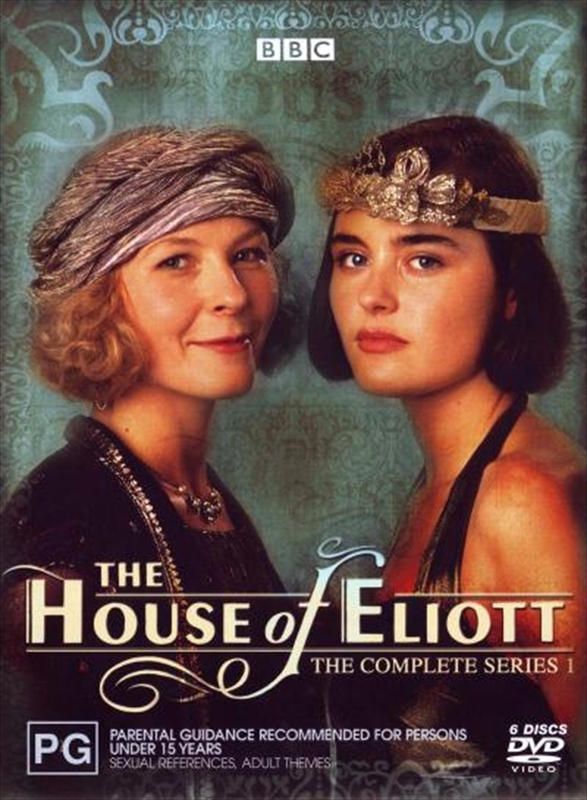 Then, thanks to Jack's introductions to wealthy society, the door is opened to a whole new life.The House of Eliott is one of the BBC's most popular dramas, tracing the lives and loves of two very talented sisters in the heady world of London's high fashion society in the roaring 20s. Elegant and lavish costumes, a superb script and brilliant characterisations have come together to create this award-winning drama set in an age of glamour and indulgence.